Senior guard Nate Axelrod (Dublin/Coffman) scored 18 points during the first half and senior guard Seth Clark (Lewis Center/Olentangy) rang up 19 points during the second half as 23rd-ranked Ohio Wesleyan built a double-digit lead and held on for a 77-72 North Coast Athletic Conference win over DePauw on Saturday in Greencastle, Ind. The Bishops put together a 9-1 run midway through the first half, getting a 3-pointer from Clark and a pair of lay-ins and 2 free throws by Axelrod, to turn an 18-16 lead into a 27-17 margin. Axelrod converted a 3-point play late in the half to restore the 10-point margin, and a 3-pointer by sophomore guard Jaret Gerber (Worthington/Thomas Worthington) made it a 39-30 game at the break. Ohio Wesleyan opened the second half with 3-pointers by senior wing Will Orr (Johnstown/Johnstown-Monroe) and Clark, and another Clark 3-pointer would stretch the margin to 57-40 with 14:50 left. The Bishops still led, 71-60, after a 3-pointer by sophomore post Jake Hecker (Bloomfield Hills, Mich.) with 3:50 to play. DePauw reeled off the next 10 points, with 3-pointers from Nick Felke and Ken Decker sandwiching a pair of lay-ins by Jack VandeMerkt. Decker’s trifecta brought the hosts within a single point at 71-70 with :49 remaining. 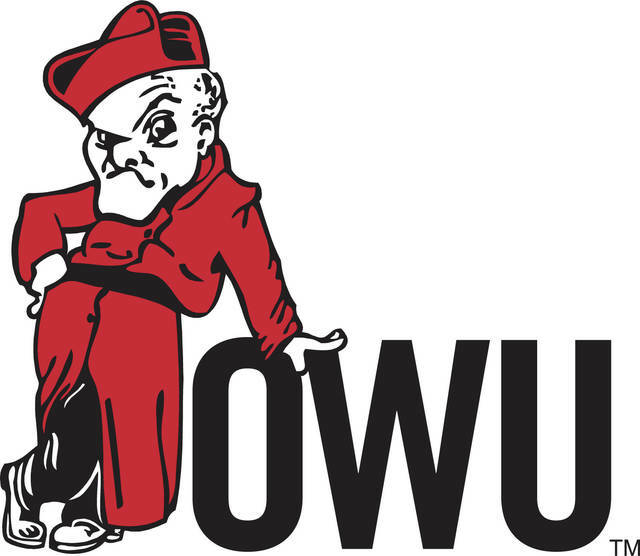 Ohio Wesleyan would put the game away at the stripe, however, with Axelrod sinking a pair of free throws at the :26 mark. After a VandeMerkt dunk with :14 left, Clark was fouled and sank both free throws for a 75-72 Bishop lead with :11 to go. DePauw’s David Vogel misfired on a 3-pointer on the Tigers’ next possession and junior wing Chris Allocco (Hilliard/Bradley) cleared the rebound, was fouled, and sank both free throws for the 77-72 final. Clark led the Bishops with 28 points. Axelrod finished with 22 points and a team-high 9 assists. Orr added 12 points, and Allocco had a team-best 7 rebounds. VandeMerkt led DePauw with 24 points. Ninth-ranked DePauw opened the game with a 10-2 run and went on to record a 64-31 North Coast Athletic Conference win over Ohio Wesleyan on Saturday in Greencastle, Ind. Sydney Kopp connected on 3-pointers on DePauw’s first 2 possessions of the game to give the Tigers an early 6-0 lead. Sophomore guard Claire Sterling (West Jefferson) connected on a jumper to put Ohio Wesleyan on the scoreboard, but Melinda Franke and Kopp added lay-ins to finish off the Tigers’ 10-2 run. Sophomore guard Nicole Popovich (Rocky River) sank a pair of free throws to make it a 2-possession game midway through the first quarter, but DePauw scored the final 8 points of the period, capping the run with a jumper and a pair of free throws by Claire Keefe. Ohio Wesleyan opened the second quarter with a lay-in by freshman guard Morgan King (Xenia/Dayton Carroll) and sophomore post Elea Karras (Bellbrook/Miami Valley) knocked down a 3-pointer to kick off the third-quarter scoring, but the Tigers would go on to score the final 16 points of the third quarter to put the game out of reach. Sterling led the Bishops with 10 points and shared the team lead with 7 rebounds. Popovich also grabbed 7 rebounds, and King finished with a team-high 3 assists. Maya Howard had a game-high 18 points for DePauw.